Steve said that Dr. Wolf thinks that the pulmonary embolism that killed my mother could potentially be blamed on the nursing home, and that she was unable to relate the medications mom was being administered to the pulmonary embolism. 2 I said that I had just talked to Dr. Wolf earlier in the day and she had told me that she hadn’t gotten any toxicology reports back from the lab yet, and likely wouldn’t for several weeks, so I didn’t understand how she could have already decided there was no way to relate the medications to the pulmonary embolism. I asked Steve which medical records he had subpoenaed, whether he had asked for records from Halifax Hospital or Fish Memorial Hospital as well, and he said that Dr. Wolf had only been interested in medical records for the last thirty days, so he only subpoenaed Woodland Terrace. He said that he also requested the admissions assessment and “plan of care” records. I explained to Steve that the reason I had called Dr. Wolf that morning was because I wanted to make sure she didn’t share the results of the autopsy — which I was personally paying to have performed — with anyone other than me. I noted how she told me she thought there may be a law about any autopsy performed in the state being a matter of public record and Steve said he thinks that law may have been enacted after the death of NASCAR driver Dale Earnhardt. Regardless, he said, someone would have to request the results from her; she wasn’t going to offer them to anyone on her own, and he would tell her that if anyone requested the results from her that she should contact him before complying. Steve asked me if I wanted him to scan and email me copies of the records from Woodland Terrace and I told him that I very much did, yes. He asked me to email him a reminder to do so next week. Then he told me that he would be in and out of the office for the next several weeks because he had court cases and depositions in Miami and Naples and one of the other south Florida cities, but that I should call or text message him any time. Steve said that text message was really the fastest and best way to contact him. 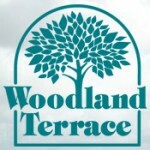 I asked him if he had been given any sort of ETA by Woodland Terrace and he told me that by law they had thirty days to provide him with their insurance information, and that it usually takes about a week to get copies of medical records. He said he was certain they would be calling him any day now to let him know what the fees would be to photocopy all of the medical records. The entire call lasted nine minutes and twenty-six seconds. Note: As of February 26th, 2013 — just shy of six months later — I still have not been able to get copies of my mother’s medical records from Woodland Terrace. 1 Steve gave me no indication that he had spoken to Dr. Wolf on this day; I think it was just a coincidence that they both called me on the same day. 2 Why Dr. Wolf didn’t mention any of this when we spoke just eight hours before this call is a frustrating mystery to me.